In part 1 of this series, the beginning of Christ’s cosmic suffering, that of the Last Supper as well as his time at the Garden of Gethsemane were addressed. Now we move on to the six interrogations and trials of Christ. I am using the term, interrogation for four of the six encounters that Jesus had with the Jewish and Roman authorities, and trials for the other two. 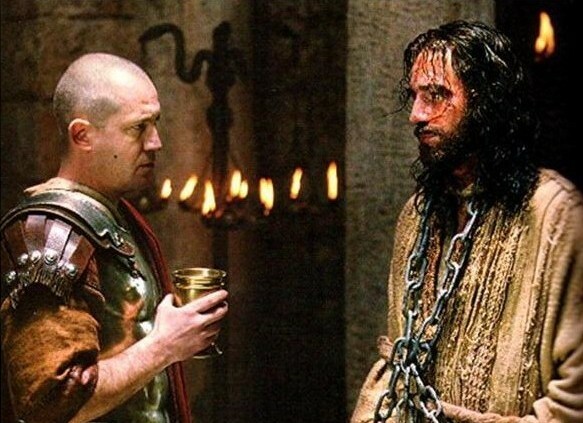 The reason for this is that the only time that Jesus actually received what could possibly be considered a trial, was his second appearance before the Sanhedrin, and the last time he appeared before Pilate. Even though these are commonly referred to as trials, the proceedings surrounding these trials (and interrogations) were conducted outside the judicial rules of procedure for both the Jewish court and the Roman court system. The judicial proceedings surrounding Jesus’ conviction and death were initiated by a select number of members of the Jewish Sanhedrin. 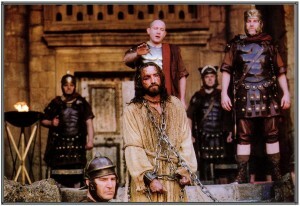 Simon Greenleaf, Professor of Law at Harvard University, succinctly describes the mechanisms employed by the Jewish authorities to accomplish their ultimate goal of having Jesus executed by Pilate: The accusation of Jesus, instigated by the hatred of the priests and the Pharisees, and presented at first as a charge of sacrilege, but afterwards converted into a political crime and an offence against the state, was marked, in all its aspects, with the foulest acts of violence and perfidy. It was not so much a trial environed with legal forms, as a real passion, or prolonged suffering, in which the imperturbable gentleness of the victim displays more strongly the unrelenting ferocity of his persecutors….Now, if his [Jesus] conduct was reprehensible, if it afforded grounds for a legal accusation, why was not that course taken openly? Why not try him for the acts committed by him, and for his public discourses? Why employ against him subterfuges, artifice, perfidy, and violence? For such was the mode of proceeding against Jesus. Annas first asks Jesus about his disciples and his teaching. This would indicate that the primary concern was theological, although political charges would be added later on to force Pilate’s hand. 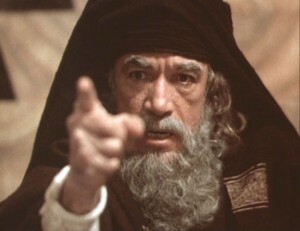 The high priest then questioned Jesus about his disciples and his teaching. Jesus answered him, “I have spoken openly to the world. I have always taught in synagogues and in the temple, where all Jews come together. I have said nothing in secret. Why do you ask me? Ask those who have heard me what I said to them; they know what I said.” When he had said these things, one of the officers standing by struck Jesus with his hand, saying, “Is that how you answer the high priest?” Jesus answered him, “If what I said is wrong, bear witness about the wrong; but if what I said is right, why do you strike me?” Annas then sent him bound to Caiaphas the high priest. (John 18:19-24 ESV) Jesus answers the first question from Annas comprehensively, first testifying to the openness of his ministry and teaching, and then wisely referring Annas to the eyewitness testimony of those who heard his teaching. It was as if Jesus was giving Annas every opportunity to conduct his inquiry according to the proper judicial and investigative procedures. Annas however rejects Jesus’ suggested course of action, and instead, responds with violence. Jesus is struck in the face and thus begins His physical harm and cosmic suffering, that of public humiliation. 2) Second interrogation— Jesus is then sent to Caiaphas’ house where the men guarding him abuse him by mocking and beating Him and spitting and berating him, hence, adding to His physical suffering and more importantly, humiliation. At this interrogation Jesus is blindfolded and Caiaphas’ men continue to assault him with insults and questions—John 18:22; Matt. 26:57-68; Mark 14:53-65; Luke 22:54, 63-64 This interrogation was nothing more than thuggery, a gathering for one purpose and one purpose only, that of humiliating the subject. 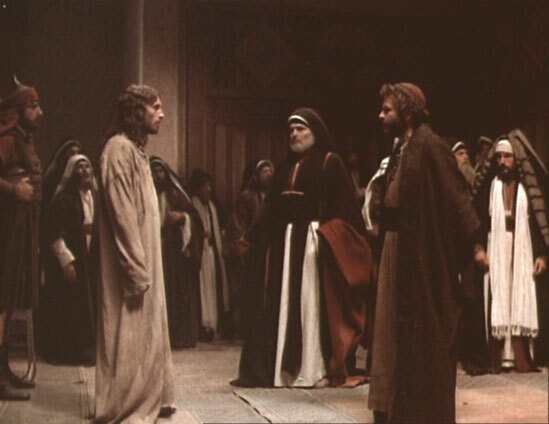 3) Third interrogation—At daybreak the Sanhedrin reconvened. Although Matthew 26:59 states that Jesus appeared before “the whole council” (“Sanhedrin”), this need not denote all 70 members but may simply indicate those hastily assembled in the middle of the night (23 members made a quorum). It was at this time that Jesus was questioned regarding who he was, at which time he confirms that he is the Son of God—“Again the high priest asked him, “Are you the Christ, the Son of the Blessed?” And Jesus said, “I am, and you will see the Son of Man seated at the right hand of Power, and coming with the clouds of heaven,” applying to Himself the messianic prophecies of Psalm 110:1 and Daniel 7:13-14. (Mark 14:61-62) With this declaration the council concludes that Jesus should be put to death for blasphemy—Luke 22:66-71; Matt. 27:1-2; Mark 15:1; John 18:28. But since they condemn the Saviour as a blasphemer by reason of his own confession, the judges prove officially and on oath that Jesus confessed not only that he was the theocratical Messiah King and human son of God, but also that he was the divine Messiah and the essential Son of God, and that he on account of this confession was put to death.”  Once again, Simon Greenleaf offers the following legal assessment of Jesus’ ‘trial’ before the Sanhedrin—“…that throughout the whole course of that trial the rules of the Jewish law of procedure were grossly violated, and that the accused was deprived of rights, belonging even to the meanest citizen. He was arrested in the night, bound as a malefactor, beaten before his arraignment, and struck in open court during the trial; he was tried on a feast day, and before sunrise; he was compelled to criminate himself, and this, under an oath or solemn judicial adjuration; and he was sentenced on the same day of the conviction. In all these particulars the law was wholly disregarded. 4) Fourth interrogation—The leaders of the Sanhedrin now take Jesus to Pilate. They know that the charge of blasphemy will not sway Pilate, so other charges are concocted. First of all, subversion; “We found this man misleading our nation…He stirs up the people, teaching throughout all Judea, from Galilee even to this place.” (Luke 23:2, 5); opposed paying taxes to Caesar; “forbidding us to give tribute to Caesar…” (Luke 23:2)—this accusation was false, and the Pharisees knew it, as is borne out in the exchange that Jesus had with the Pharisees earlier on in his ministry regarding paying taxes, when the Pharisees “plotted how to entangle him in his words.” Jesus astonished them with his reply to “render to Caesar the things that are Caesar’s, and to God the things that are God’s.” (Matthew 22:15-22); proclaimed Himself as King of the Jews; at first blush, Pilate does not take this claim seriously, after all, why should he. To him, Jesus in no way appeared to be a king, he had no earthly power, no army, etc. 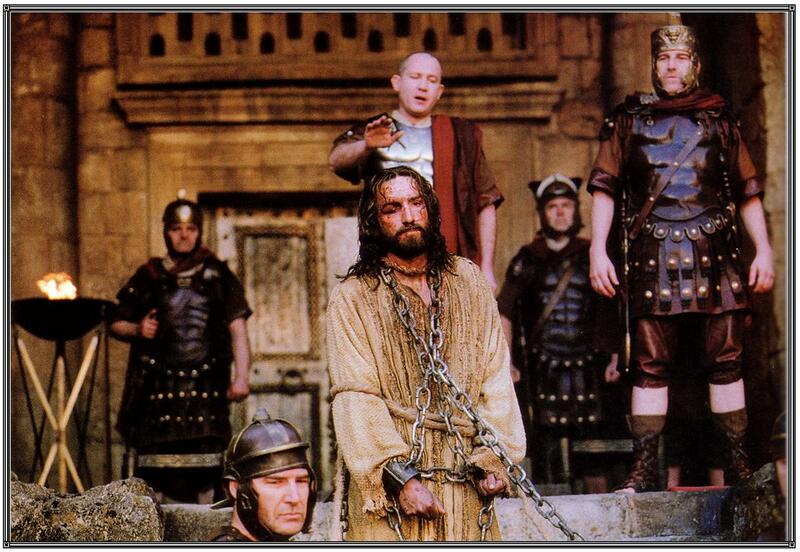 To Pilate, Jesus was simply a delusional Jewish ‘holy man’ of no significance to Rome. Unconvinced that Jesus is any threat to the Roman government, he hears that Jesus is from Galilee and sends Him to Herod Antipas. 6) Sixth interrogation—The six interrogation/trial begins with Pilate once again questioning Jesus. “Pilate answered, “Am I a Jew? Your own nation and the chief priests have delivered you over to me. What have you done?” Jesus answered, “My kingdom is not of this world. If my kingdom were of this world, my servants would have been fighting, that I might not be delivered over to the Jews. But my kingdom is not from the world.” Then Pilate said to him, “So you are a king?” Jesus answered, “You say that I am a king. For this purpose I was born and for this purpose I have come into the world—to bear witness to the truth. Everyone who is of the truth listens to my voice.” Pilate said to him, “What is truth?” After he had said this, he went back outside to the Jews and told them, “I find no guilt in him.” (John 18:35-38 ESV) Pilate attempts to appease the chief priests, and the crowd that they were stirring up, by having Jesus flogged. To understand the extent of Christ’s physical suffering and humiliation at the hands and will of man, a comprehensive look into what a Roman flogging entailed is essential. The utter humiliation, pain and agony that was part of a Roman flogging, is, for the most part, incomprehensible in today’s world. I will turn now to those who have undertaken to describe the brutality and severity of that which Christ was subject too. Flogging results in extreme weakness, difficulty breathing due to injury to the chest wall (resulting in poor oxygen delivery to tissues), excessive fatigue, and the feeling of wanting to “pass out.” If an individual like this were brought to a modern hospital emergency room, he would immediately be admitted to an intensive care unit, treated with intravenous fluids and blood transfusions, given oxygen support, and provided with aggressive wound care to prevent continued bleeding. Survival would depend on whether these adverse derangements could be reversed. A Roman flogging was referred to as the pre-death. The point of the flogging was to so weaken the person so that they could not fight against the mechanics of crucifixion, that of pushing their body up with their legs so as to allow them to keep breathing, thus the Romans breaking the legs of the two malefactors who were obviously still alive, but only piercing Jesus’ side to confirm that he was indeed dead. 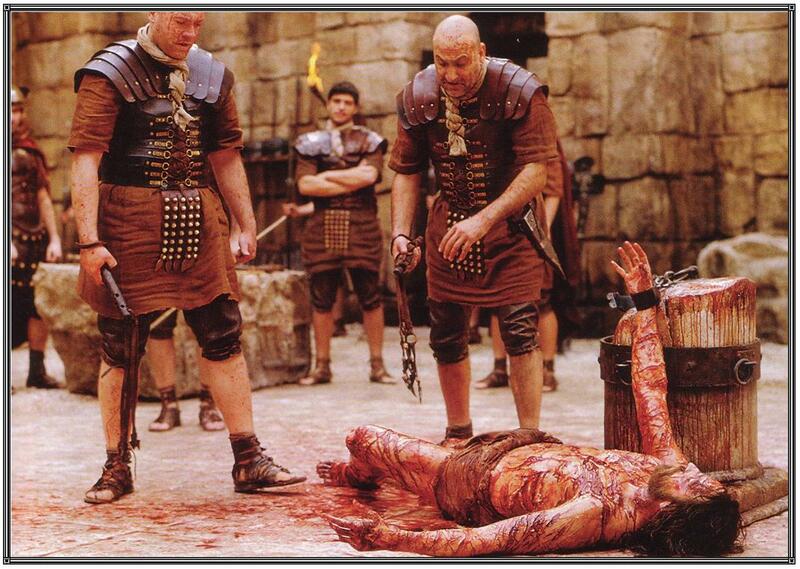 The severe scourging, with its intense pain and appreciable blood loss, most probably left Jesus in a pre-shock state. Moreover, hematidrosis had rendered his skin particularly tender. The physical and mental abuse/humiliation meted out by the Jews and the Romans, as well as the lack of food, water, and sleep, also contributed to his generally weakened state. Therefore, even before the actual crucifixion, Jesus’ physical condition was at least serious and even critical. This is the state in which Jesus found himself after the flogging. Apparently amused by his debilitated condition, the Roman soldiers mocked him further by placing a scarlet robe on his bruised, naked body, twisting a crown of thorns on his head, and placing a wooden staff in his right hand to signify his kingship. And as if this were not enough, they continued to spit on him and strike him on the head.” (Matt. 27:27; Mark 15:16-19; John 19:2-5). The physical effects of the…closely spaced thorns would most likely cause trigeminal neuralgia…This is characterized by sever, lancinating, paroxysmal, electric shock-like pains across the face lasting from seconds to minutes with intermittent refractory periods. Trigger zones are common in various areas of the face with trigger episodes of shooting pains across the head and region if touched and is difficult to treat medically…The severe pain would be added to the depth of imminent traumatic shock now developing from the scourging. It may seem strange to us that after a judgment of acquittal thus solemnly pronounced, any judge, in a civilized country, should venture to reverse it, upon the same evidence, and without the pretense of mistake or error in the proceedings. Probably, in the settled jurisprudence of the city of Rome, it could not have been done. But this was in a remote province of the empire, under the administration not of a jurist, but a soldier; and he, too, irresolute and vacillating; fearful for his office, and even for his life, for he served the “dark and unrelenting Tiberius.” As soon as he proposed to release Jesus, “the Jews cried out, saying, If thou let this man go, thou art not Caesar’s friend. Whosoever maketh himself a king, speaketh against Caesar.” Whereupon “Pilate gave sentence that it should be as they required.” That Jesus was executed under the pretense of treason, and that alone, is manifest from the tenor of the writing placed over his head, stating that he was king of the Jews; such being the invariable custom among the Romans, in order that the public might know for what crime the party had been condemned. The remaining act in this tragedy is sufficiently known.